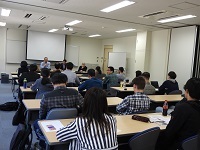 We held an orientation for new students on April 8 with 14 participants. 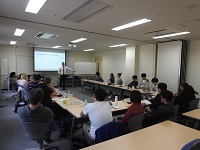 Prof. Saito, Prof. Kawashima, Prof. Takeuchi, Prof. Carpenter, Prof. Claxton and Prof. Partain delivered presentations. Academic Calendar for 2019 Spring has been uploaded. Lecture: We welcomed Prof. Manciaux from University of Burgundy for "International Investment Law 2" intensive course [February 14-22]. Admissions: Applicant's Guide & Documents for Application for 2019 Fall Admissions have been uploaded. 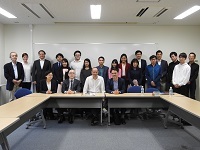 Seminar: We welcomed Prof. Nottage from University of Sydney for the seminar on "Developing Japan and Australia as Regional Hubs for International Dispute Resolution: Dream Come true or Daydream?" 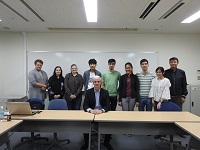 Lecture: We welcomed Prof. Neuwirth from University of Macau for "WTO Law" intensive course [January 21-24]. 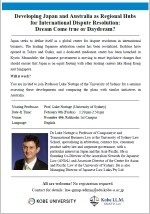 Seminar:"Japan and International ADR" by Prof. Luke Nottage (Univeristy of Sydney) will be held on 8 February 2019. For more information, please refer to the file below. Lecture: We welcomed Prof. Thomas Cheng from the University of Hong Kong for the Comparative Competition Law intensive course [January 7-17]. Notice: We inform you that we will hold the following intensive lecture courses in February. 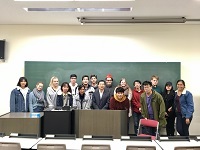 Lecture: We welcomed Prof. Malgosia Fitzmaurice from Queen Mary University of London for the Public International Law 2 intensive course [December 3, 4, 6, and 7]. Lecture: We welcomed Prof. Yun Zhao from the University of Hong Kong for the Asian Law intensive course [November 17 and 18]. 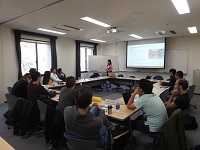 Lecture: We welcomed Dr. Monica Chien from the University of Queensland for the Strategic International Business Consulting (A) intensive course [November 1, 2, 5, and 6]. 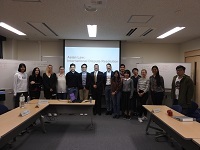 Lecture: We welcomed Dr. Harald Sippel from the Asian International Arbitration Centre (AIAC) for the Asian Law intensive course Part 1 [October 27, 28, and November 3]. 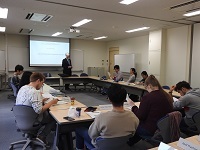 Lecture: We welcomed Prof. Julien Chaisse from the Chinese University of Hong Kong for the International Investment Law 1 intensive course [October 15-26]. 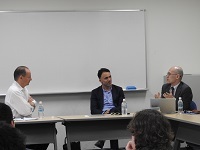 The lectures were delivered by Prof. Chaisse, Prof. Tamada (Kobe), and Prof. Claxton (Kobe). Admissions: Applicant's Guide & Documents for Application for 2019 Spring-II Admissions have been uploaded. Lecture: We welcomed Mr. Danny McFadden from CEDR (Centre for Effective Dispute Resolution) for the ADR in Asia and the Rest of the World intensive course [October 6-7] with 34 participants. 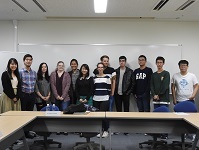 We held an orientation for new students on October 1 with 6 participants. 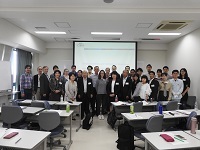 Prof. Saito, Prof. Kawashima, Prof. Carpenter and Prof. Claxton delivered presentations. Lecture: Course Schedule for 2018 Fall [PDF] is available. 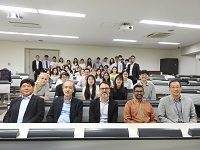 Summer School: The annual Summer School of Asian Law and Dispute Management (“SALAD”) was held from August 20-24. 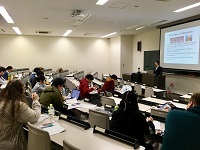 The lectures in English were given by lecturers from Kobe University, partner universities, law firms, arbitral institutions, and commercial courts in various Asian jurisdictions. A total of 53 participants from China, Macau, Malaysia, Vietnam, Korea and Japan took part in this intensive program. 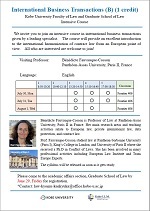 Lecture: We welcomed Prof. Bénédicte Fauvarque-Cosson from University Panthéon-Assas (Paris II) for “International Business Transactions (B)” intensive course [July 30-August 1]. Summer School: Program of Kobe SALAD 2018 (Aug 20-Aug 24) has been uploded. 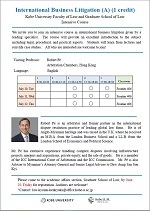 Lecture: We welcomed Mr. Robert S. Pé from Arbitration Chambers in Hong Kong for “International Business Litigation (A)” intensive course [July 10-July 12]. For applicants who have/will have graduated from a university in China Please contact the Academic Affairs Section of Graduate School of Law, Kobe University in advance if you have difficulty in getting documents verified by the China Academic Degrees and Graduate Education Development Center (CDGDC) to the School by the end of the application period. Admissions: Applicant's Guide & Documents for Application for 2019 Spring Admissions have been uploaded. Notice: We inform you that we will hold the following intensive lecture courses in July. For more information, please refer to the files below. 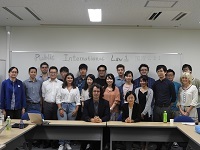 Lecture: We welcomed Prof. Jean d'Aspremont from University of Manchester for the Public International Law 1 intensive course [May 11-16]. We welcomed Prof. Philippe Sands and held a seminar "Two Days of Discussion with Professor Philippe Sands" on 19-20 April. Prof. Claxton will make presentations on his lectures for 2018 spring semester. Anyone who are interested in his lectures are welcome. 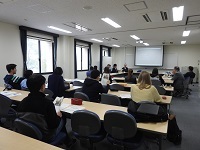 We held an orientation for new students on April 6 with 9 participants. 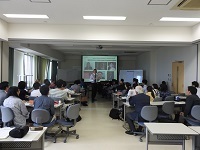 Prof. Saito, Prof. Tamada, Prof. Kawashima, Prof. Takeuchi and Prof. Carpenter delivered presentations. Seminar:"Two Days of Discussion with Professor Philippe Sands" will be held on 19-20 April 2018. We will hold an information session for new students as follows. Academic Calendar for 2018 Spring has been uploaded. Applicant's Guide for 2018 Autumn Admissions has been uploaded.